Twenty homeless US veterans were released unharmed at Bolingbrook’s Clow UFO Base after being held by a “sample collection” crew from the Quasta System. According to Tanger, the Quasta craft was spotted within the Chicago area abducting homeless veterans. When covert traffic control officials asked the crew if they had an abduction permit for Chicago, the commander of the ship, Gulp, said he left it in his other ship, and if they could wait two weeks, he could come back with the permits. Instead, Clow’s security officials activated several anti-UFO tachyon gun near the UFO and told the commander to either surrender, or be shot down. 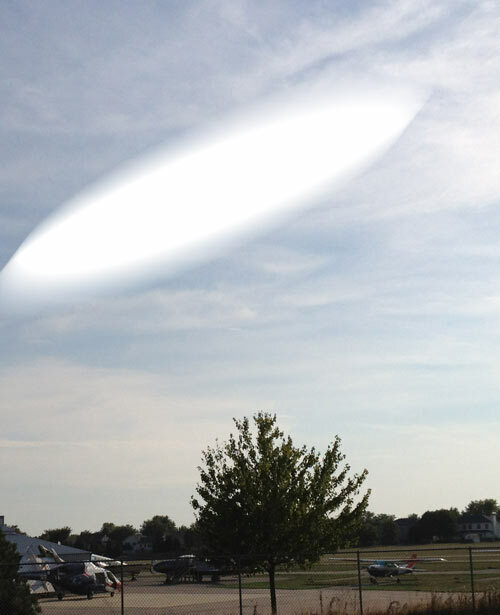 The commander surrendered and was escorted to Clow UFO Base. Upon landing, the crew released the veterans, and were arrested. According to sources within the Department of Interstellar Affairs, abducting veterans on Veterans Day is not allowed within Clow’s jurisdiction. UFO crews must have permission for the New World Order to even observe a veteran during Veterans Day. “As of now, it appears this crew lack any authorization to perform any abductions, let alone interact with former US military personnel.” Said Quasta. One of the veterans, who asked to be called Jerry, said the other abductees are in good health, and were only held in captivity for a few hours. Paul Q. Blake, the lawyer representing the Quasta crew, says it is all a simple misunderstanding. Tanger said the veterans would be returned to the public after their memories were altered. He added that they veterans would be assisted by the Will County Veterans Assistance Commission.